October 19, 2018 – The Brown DARPA Molecular Informatics team welcomes Senator Jack Reed and DARPA Director Dr. Steven Walker to campus. We are exciting to demonstrate our new molecular storage and computing techniques in action, and to walk them through our DARPA-funded, state-of-the-art laboratory! October 8, 2018 – Thanks to generous support from the Brown Vice-President for Research, Prof. Jill Pipher, and the Brown Physics Department Houghton Endowment, we are happy to announce that Brown will be holding its first Symposium on Molecular and Quantum Computing on the weekend of March 8/9, 2019. The Symposium will feature several well-known keynote speakers, topical break out sessions with contributed talks, and a few educational sessions for the public. This should be a unique opportunity for the Brown community to learn more about the future of molecular and quantum computation! October 5, 2018 – Congratulations to the Brown DARPA team for submitting its paper on the “Theory of Information Storage in Molecular Mixtures”! Wish us luck during the review process! 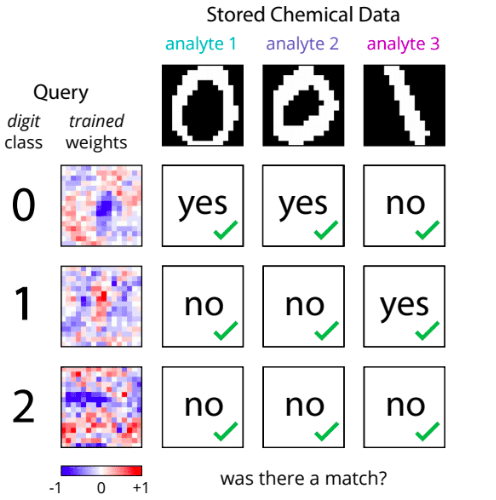 September 1, 2018 – Congratulations to the Brown DARPA Molecular Informatics Team, and Chris Arcadia, Hokchhay Tann, Kady Ferguson, and Amanda Dombroski, in particular, on the acceptance of its paper “Parallelized Linear Classification with Volumetric Chemical Perceptrons” to the IEEE Rebooting Computing Conference! 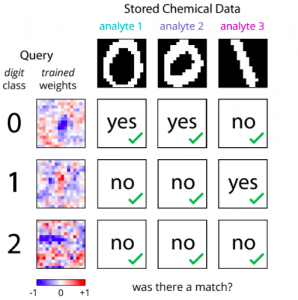 The paper describes how machine learning algorithms may be realized using molecules to classify handwritten images. 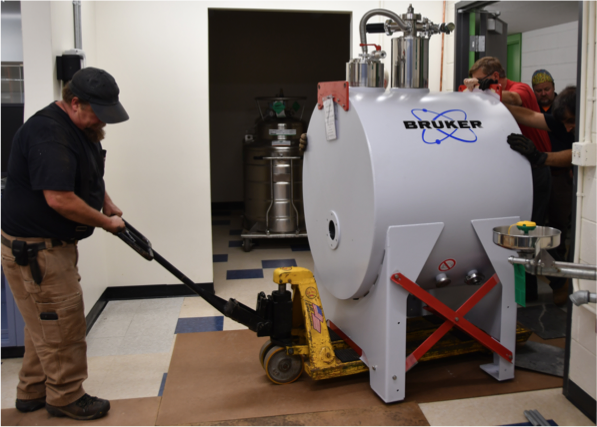 July 20, 2018 – The Brown DARPA team is excited to announce the arrival of its 7T Bruker SolariX Fourier Transform Ion Cyclotron Resonance Mass Spectrometer from France! 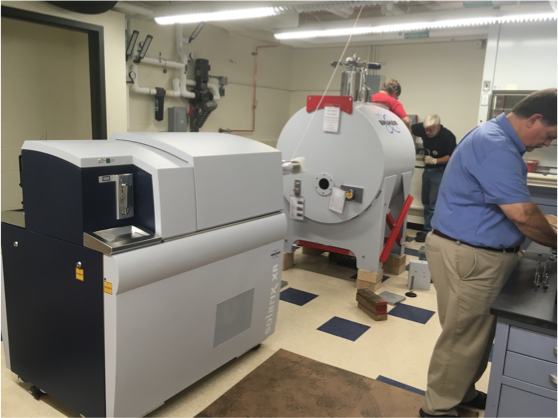 This mass spectrometer is one of the highest resolution and fastest on the market, and will substantially accelerate our molecular informatics efforts! July 5, 2018 – The Brown DARPA Molecular Informatics Lab has opened its doors in Barus and Holley 348/350! We thank the Office of the Vice-President for Research for all of its assistance helping renovate the lab and secure its instrumentation. A schematic of the kinds of perceptrons we aim to encode within chemistry. June 2018 – Congratulations to Aaron Ray and Chris Rose for having their paper “Computing with Chemicals: Perceptrons Using Mixtures of Small Molecules” accepted to the IEEE International Symposium on Information Theory! The paper details how perceptrons can be built from everyday chemical reactions.